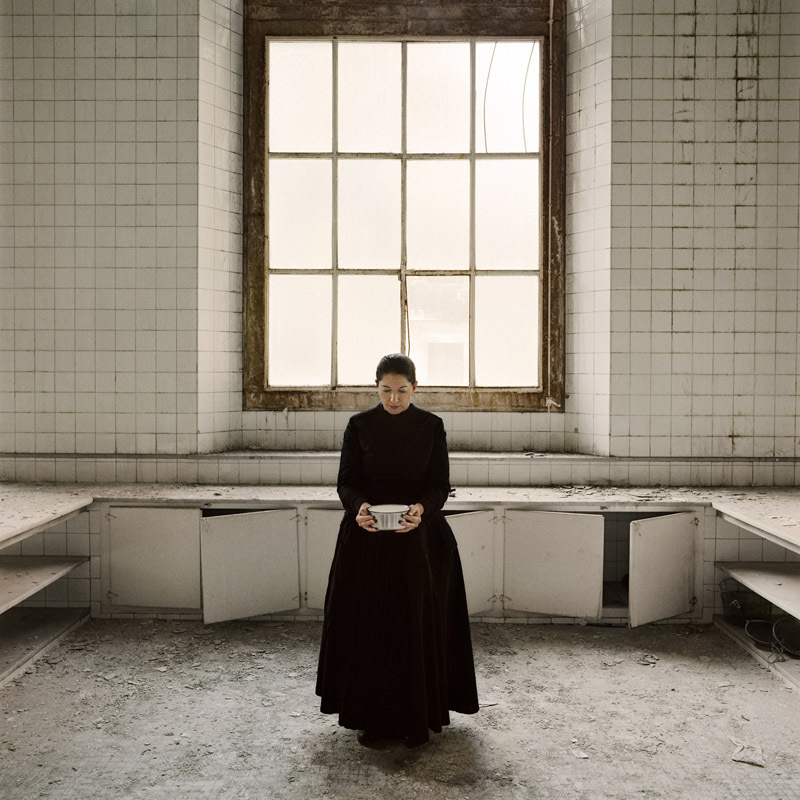 The Renaissance spaces in Palazzo Strozzi are the location for the Italian showing of Marina Abramović The Cleaner, an exhibition organised by the Moderna Museet in Stockholm, the Louisiana Museum of Modern Art in Humlebaek and the Bundeskunsthalle in Bonn. A substantial amount of work has gone into this event and the general public has responded in turn. 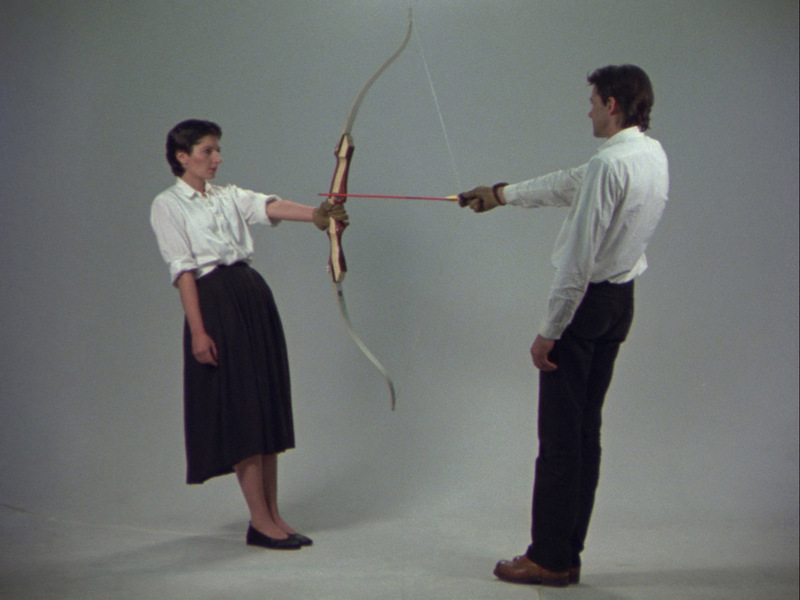 Marina Abramović is one of the most important artists of the second half of the twentieth century, among the founders of Performance Art. She has developed her research coherently, which has contributed to its recent success. The exhibition is an opportunity to become acquainted with Marina Abramović’s long, multi-faceted career, starting this journey in the basement of the Strozzi Palace, which is dedicated to her beginnings and the first performances of an artist who was initially rooted in Belgrade’s underground culture, rapidly progressing to her first solo performances in Italy. Visitors are then taken to the ‘royal’ floors where Abramović’s performances with Ulay are depicted through documents and re-enactments, together with her production from the 1990s onwards which has involved a re-thinking of the performative medium, on her own, in relation with transitional objects and, later, the public. 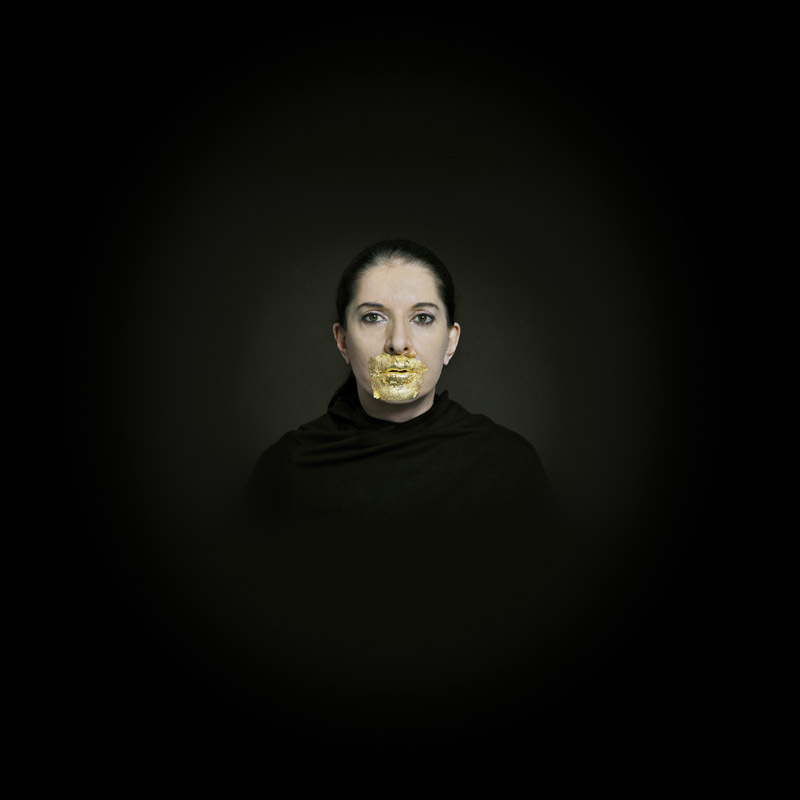 Marina Abramović The Cleaner also represents a challenge: how can Performance Art be exhibited? The curators and the artist herself have provided some very interesting answers to this question. It is, in fact, achieved by privileging documents from past years. There is not much available, except a selection of photographs, some videos – or extracts – documenting the performances that gained notoriety at the time, such as during the Venice Biennale of 1976, Documenta in Kassel and the International Performance Week at Bologna in 1977, on the Chinese Wall in 1989, at MoMa in 2010 and others. In addition, the exhibition presents a dense calendar of re-enactments of some of Abramović’s most famous pieces, performed by young students who, at fixed times and on scheduled days, reproduce these in front of a public which has probably never seen the originals and is unfamiliar with this kind of artistic practice. 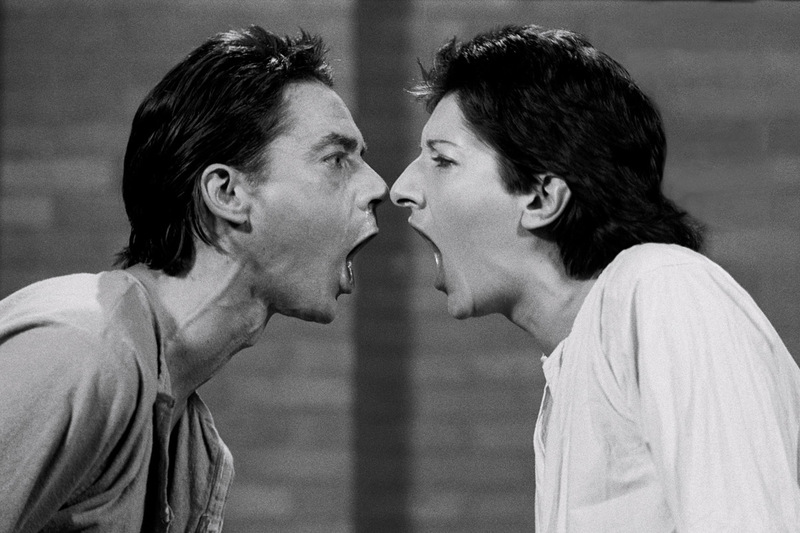 Obviously the present performances do not reproduce the historic ones in Abramović’s oeuvre, which were sometimes in collaboration with Ulay. The people are different, their bodies, the relationship between the work and the historical context in which the performance was conceived and executed, and the tension that roots every single work in the artists’s own life is missing. However, compared to simple retelling through indirect documentation, these re-enactments have significant educational power and their use, under the artist’s supervision, are especially important for a retrospective aimed at the general public. Moreover, current performances allow spectators to question all the aspects that distinguish these works from the originals: the latter is not simply absent or lost. 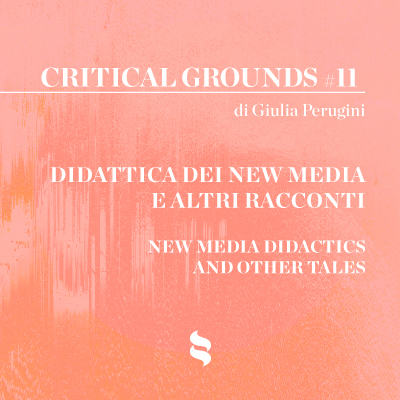 The absence of all the component elements in Performance Art can be felt: sounds, smells, noises, climate and environmental conditions, physical attraction and revulsion, proximity and distance, and so on. When placed side by side with the documents from the time – even if this is only a selection, as in this case – the re-enactment offers a human presence that openly declares itself as surrogate and, for this reason, evokes what is absent. 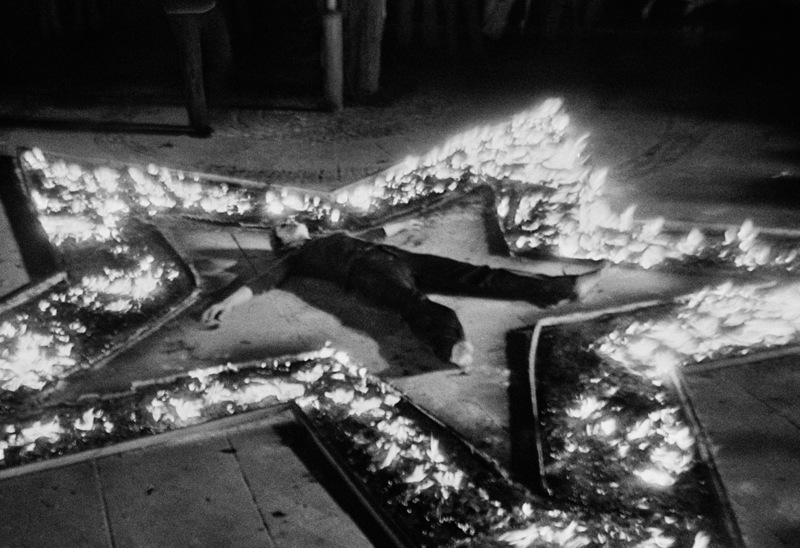 Another aspect that the exhibition highlights is the evolution of Marina Abramović’s research, in which the live action is often centred around the theme of physical danger, leaving space for an iconography where birth and death, war, violence and vital energy are summoned more immediately through the use of videos, photography, choreography and the construction of complex installations. Marina remains the focus of these works, in dialogue with children, for example, or vibrant young people, with her parents and, lastly, with a large public, with whom Abramović always seeks to develop a personal relation. 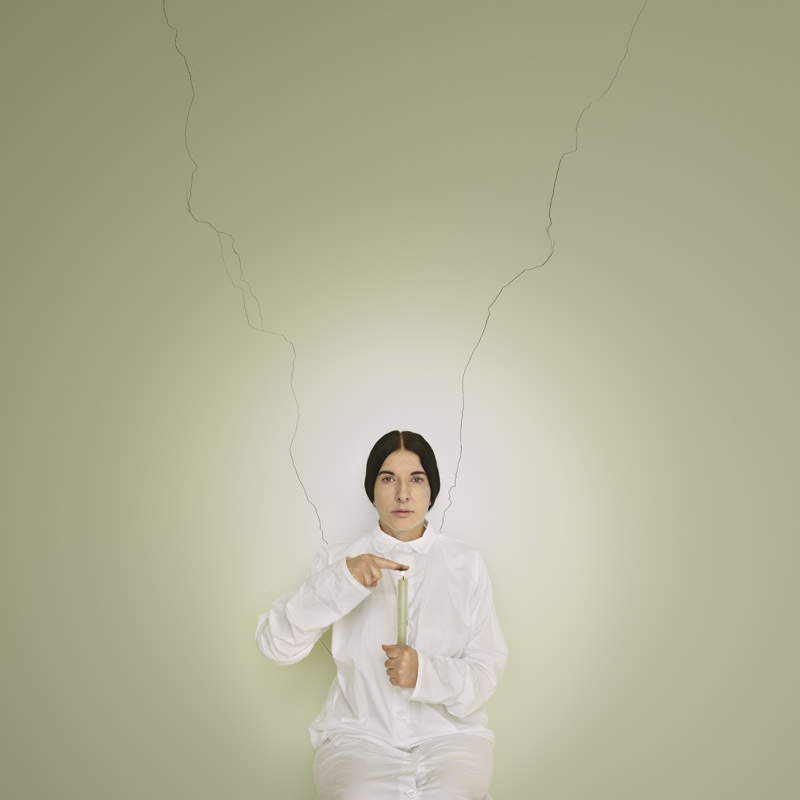 Marina Abramović The Cleaner enables visitors to understand the relationship between the body and objects (or sculpture). This can be seen, for example, in the care that Abramovic takes in designing the furniture surrounding her performances from the 1990s onwards: objects which seem to have their roots in the research for Arte Povera – for example, shoes, broomsticks and chairs. Modernism, on the other hand, remains the design model for many artefacts and wooden cabinets in Private Archeology (2015). 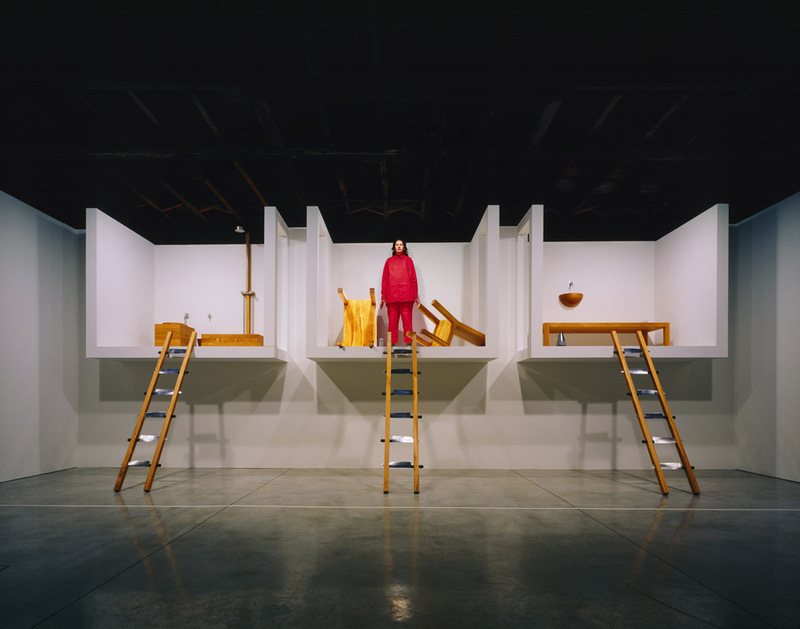 And what can be said about the knives that substitute the rungs of ladders in The House of the Ocean View, connected to Action Escalade non-anesthétisée (1971) by Gina Pane? Abramović, after all, has acknowledged her debt to key figures in Performance Art through the questionable act of appropriation, Seven Easy Pieces (2007). 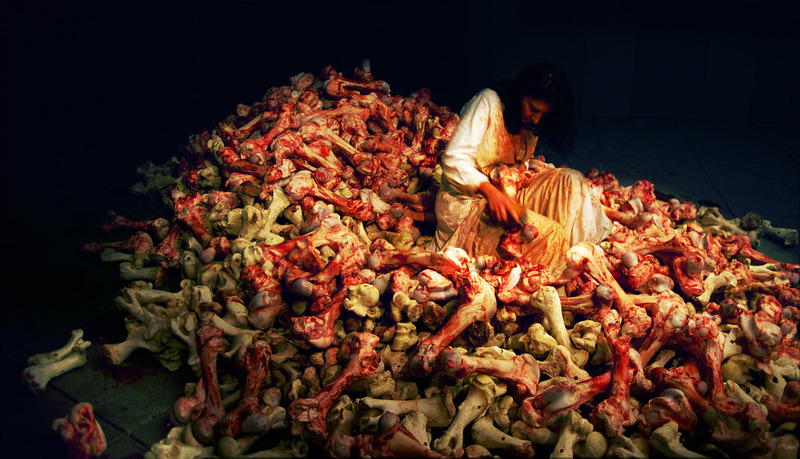 What ties Abramović to the main themes of Performance Art – in other words, the historical development of the genre – is also her many encounters with primitive populations and their rituals honouring the foundational energies of human life and the planet, so recurrent in this artistic practice. 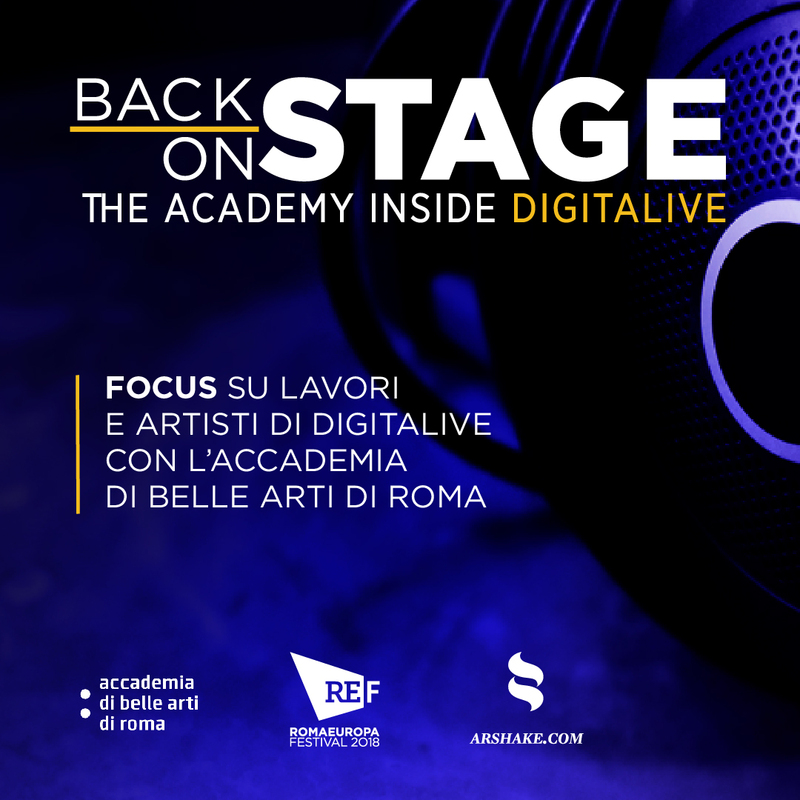 Regrettably, however, the catalogue contains only one essay dedicated to the privileged relationship that the artist has with our country, in which there is no discussion on the numerous and important performances Abramović established in Italy. Who were the artists shown alongside Marina Abramović in collective exhibitions? Who were the critics and gallerists she was involved with? An attempt to answer these questions – even though this would have required a re-thinking of the catalogue, as has been done for the exhibition adapted for the historical spaces of Palazzo Strozzi – would have re-constructed Abramović’s network of exchanges (meaning both giving and receiving) with an art system that has been reluctant to support local performers but, at the same time, has been extremely receptive towards research that comes from afar.